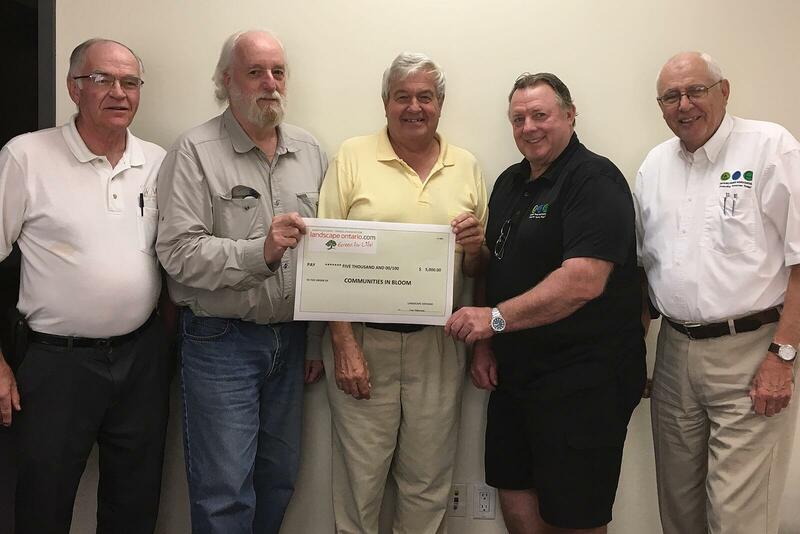 (L-R): Gerald Reycroft, Martin Quinn, Bob Allen, Paul Ronan and Ray Hurd display the cheque after a recent CiB board meeting. Landscape Ontario recently fulfilled a funding request for $5,000 from Communities in Bloom (CiB) Ontario. The request was submitted by CiB board member, Bob Allen, to help administer and promote the annual competition that has volunteer judges evaluate various community beautification projects. Allen is also a past president of LO and a member of the Ontario Horticultural Trades Foundation.